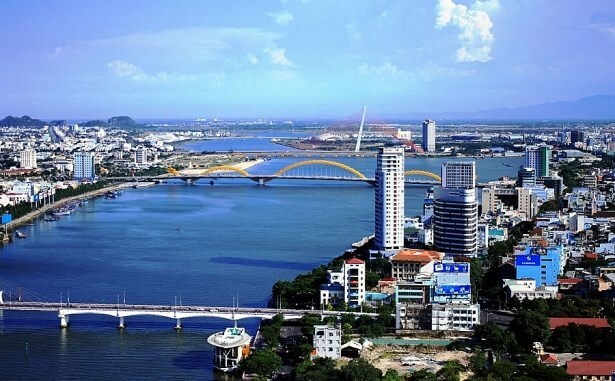 The central coastal city of Da Nang is working to turn itself into a food smart city as part of efforts to concretise its target of becoming an eco-smart urban area and a regional hub for startups and innovation until 2030 with a vision to 2045. According to Rikolto Regional Director and Rice Programme Coordinator for Vietnam Thai Thi Minh, Vietnam National University of Agriculture, the city’s food safety management board, and Belgium-based non-governmental organisation Rikolto are working to ensure local residents’ access to high-quality food through branching out a smart food purchasing system and engaging various value chains. Under a food smart city development strategy in Da Nang for the 2019-2025 period with a vision towards 2030 developed by the three parties, the city will promote food safety management approach reform and apply information technology as well as advancements of the Fourth Industrial Revolution in food production and distribution. Due attention will be paid to enhancing capacity of Vietnamese food suppliers, developing sustainable business foundation for the firms, and promoting sustainable chain linkages via developing complete food business models. Besides, a smart food environment will be developed through the upgrade of traditional markets, and promotion of street food and local specialties to attract visitors while ensuring the bread of small traders. Furthermore, wide communication campaigns will be conducted to raise consumers, suppliers’ awareness of the importance of sustainable and safe food consumption and production. Building Da Nang city as a food smart city is part of the Rikolto’s Food Smart Cities Cluster, an initiative that brings together the cities of Ghent (Belgium), Da Nang, Solo (Indonesia), Quito (Ecuador), Tegucigalpa (Honduras) and Arusha (Tanzania). The Food Smart Cities Cluster develops sustainable models of cooperation in multi-stakeholder partnerships on a variety of issues such as rural urban linkages, sustainable business models between actors in the food chain, sustainable catering, healthy food for school canteens and consumers’ access to safe and quality food.